Behind the scenes on creating "Holding On"
Recently we reported that the first released footage of the new RED Helium 8K sensor was graded with the help of our LUTs. The man behind the lens responsible for creating that astonishing piece of video was Jared Fadel. We sat down (well virtually) for an interview with Jared to learn a bit more about his work, what inspires him, and to learn how he does what he does. 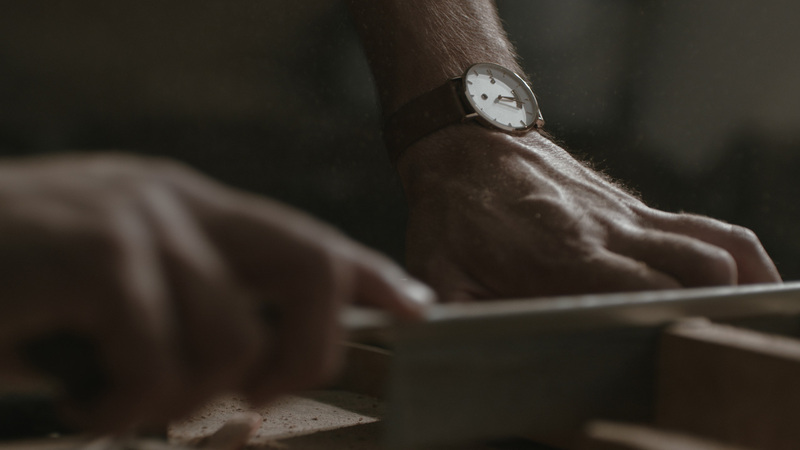 Jared was kind enough to share with us some behind the scenes insights from his work and the process behind creating the beautiful commercial for Arvo Watches and Apparel, for which he used our LUTs in the color grading process. “My base motivations are roughly the same, ‘go out and tell compelling stories.’ However, today it is slightly different. I seek ways to tell a story by mood, atmosphere, ambience, light, and lens. I consider the characters and find ways to best highlight them or their actions depending on what is happening in the story. For me, the obsession with light has been the key thing. “Understanding what the camera sees and how to create great, convincing light is what it is about. Lenses and camera can vary the aesthetic of a project and that is a much easier thing to achieve. However, you can’t just put up a light and get the instant results like a lens. You have to craft the light and shape it to be what works for the story. The most important thing for me has been becoming better at knowing how to create great, natural looking light. “I am no colorist by any means. The way colorists work is fascinating. I occasionally do color grade some of my own work. Take breaks often, I know the eyes adjust to an image and room color. So I step out for a while, and come back in, sometimes hating what I did, sometimes I feel that it works. Small adjustments go a long way. This has to do with our eyes adjusting to an image. The small adjustments are bigger than we think. Don’t trust your monitor unless it’s a special coloring monitor, like the Flanders Scientific. I own one and love it. “I love the short form projects. I just love variety. I can be working on a spot one day. Then, I can be working on a music video the next day or so. In fact, that is what happened with “The Underdog“, the boxing film with director Jonny Mass. I was shooting “The Underdog” all day and as soon as we wrapped I was on the plane to my next gig, a music video. Tell me about the Arvo – Holding On spot. “Arvo is a moving story, a nostalgic piece that resonates to some who have had a similar relationship with their father. This one was very much inspired by the director’s own relationship with his father. Let’s talk about the color. Could you tell me how did you achieve the final grade? May I ask what is it that you most like about our LUTs? Which are your favourite? I have to say, these have been the best LUTs I have worked with. “I have used many LUT packages and this one provides me with what I need. It has instant looks and it also has some that have simple changes to the color science that allow you to grade from scratch. The variety in the 156 LUT package is ideal. I find myself laying out different frames with different applied LUTs and just feeling out what suits the story best. Could you share with us your thought on the RED Dragon’s image? Any advice for shooters using our LUTs with the Dragon? Let’s talk a bit about the lighting. How did you light the video? Thank you Jared for taking the time to do this interview. It was a pleasure! Keep doing the excellent work that you’re doing. For more of Jared’s amazing work visit his website or his Instagram profile. Tagged Behind the scenes, Interview, Jared Fadel, RED Dragon.